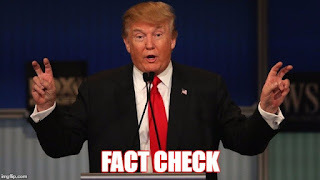 The Kansas House e-newsletter took note of a completely inaccurate "fact check" by the Topeka Capital-Journal's Tim Carpenter. It's mind boggling how the Cap-J pretends its top political reporter isn't biased. In Carpenter's "fact check," he takes apart a statement issued by Merrick's office a few weeks ago. Essentially, Merrick's statement said Kansas has a historically low unemployment rate. Revenue is volatile. The legislature has reduced some spending while putting millions more into KPERS than in the '90s and'00s. The KS House Republicans offered a pretty thorough chewing of Carpenter and his ridiculous fact check of a quote the paper never actually quoted in its entirety. I'll only add that Carpenter's "fact check" also inaccurately attributed a paraphrase of a quote to the Kansas Policy Institute's Dave Trabert. Carpenter wrote, "Trabert said the state's budget problems weren't the fault of tax reductions but were tied to reluctance by the Legislature to limit expenditures. "The GOP-led House and Senate have lacked 'courage to balance budgets by moving Kansas from being morbidly inefficient to grossly inefficient.'" There's only one problem -- Trabert NEVER attributed the problem to the 'GOP-led House and Senate.' He has, however, attributed a lack of courage to the Democrats and some Republicans. Trabert requested a correction, which didn't materialize. Instead, the CJ's VP of audience (someone tell me what that even means) wrote an online response in the comment section of the online paper defending Carpenter's dramatic rephrasing. She explained Republicans hold veto proof majorities in the House and Senate. Um. I don't see anyone arguing that, but Trabert never said what Carpenter wrote that he said. Perhaps my bias is showing, but something Trabert never said was attributed to him. Seems like that deserves a print correction. The next time a conservative lawmaker gives Tim Carpenter one-on-one access, a scoop, or even the smallest nod in his direction, the lawmaker should be mocked to the ends of the earth. You guys can help yourselves by refusing to play along with a press that hates you. My only question is when will conservatives stop playing. KS conservative lawmmakers playing? Maybe they are just following what their big brothers in the U.S. House & Senate do all day, too.